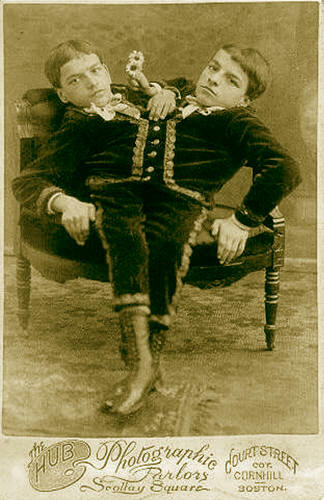 The Tocci brothers Giacomo and Giovanni Battista were born in northern Italy on October 4, 1877. 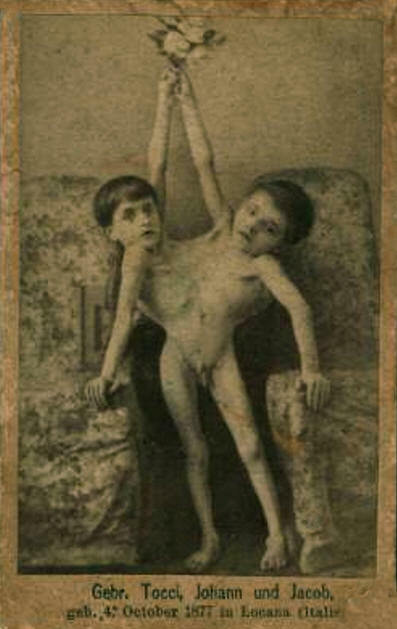 The children were separate above the waist, and shared an abdomen, pelvis, and legs. 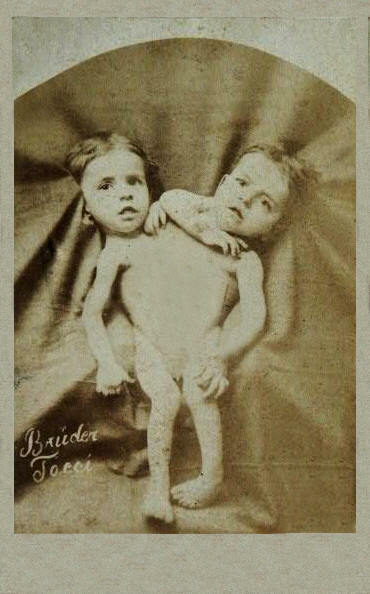 The Royal Academy of Medicine in Turin received the brothers from their parents when they were just one month old they were studied, exhibited and became well-known throughout Europe and the United States. 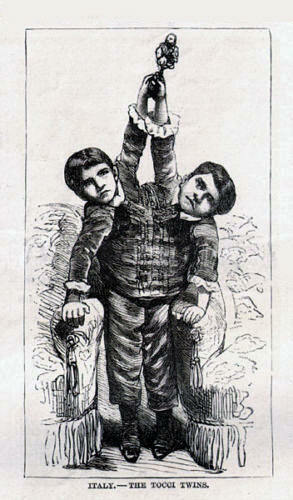 They were known as the the "Two-Headed Boy." 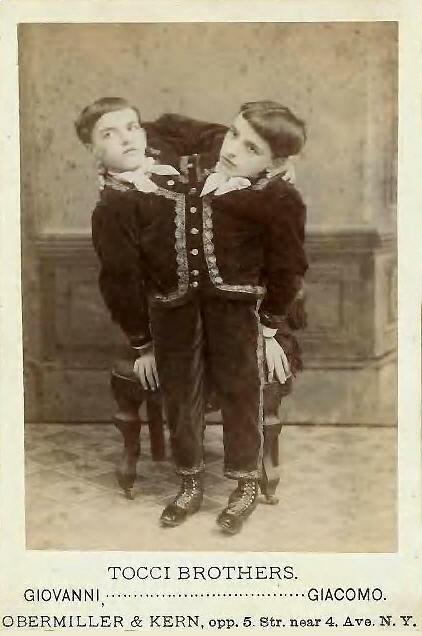 The brothers never learned to walk and need assistance. 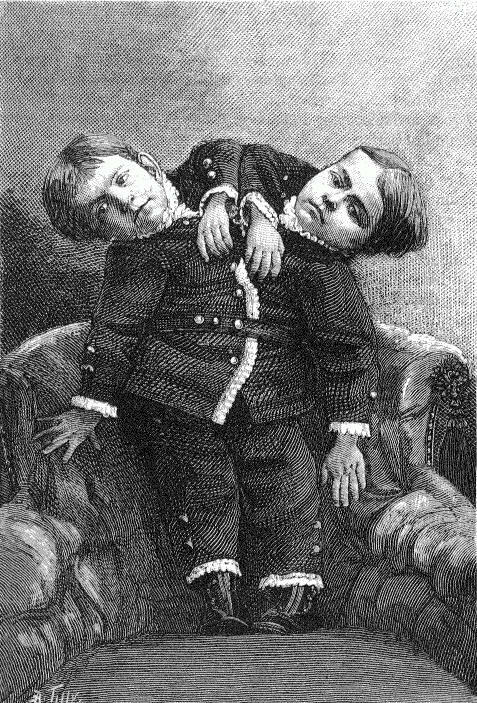 Like other conjoined twins, the Tocci brother, each controlled only one leg, and they never were able to coordinate their movements. 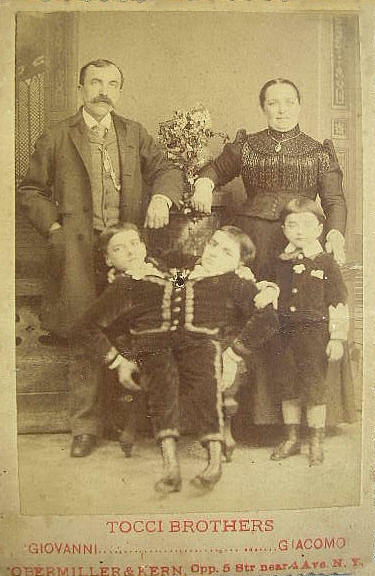 They were able to write and were very talented.. After twenty difficult years touring, They married sisters and lived another forty-three years in seclusion. 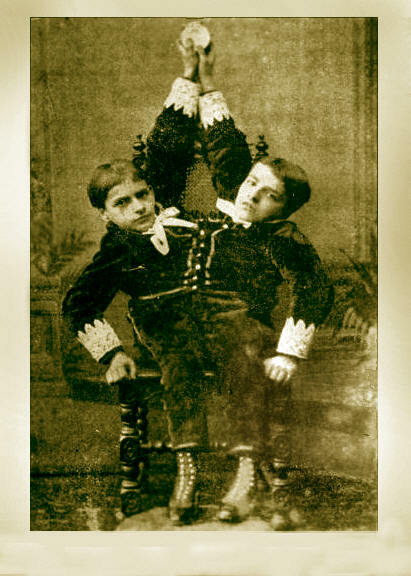 The twins retired to a secluded home near Venice, Italy.